As the largest real estate sales force in the world, with more transactions and data power than anyone else, Keller Williams is uniquely positioned to help agents win in the face of massive change and disruption. Keller Williams technology allows you to deliver the instantaneous, convenient and personalized digital experience your clients demand. In fact, our technology is designed in partnership with YOU, for YOU. 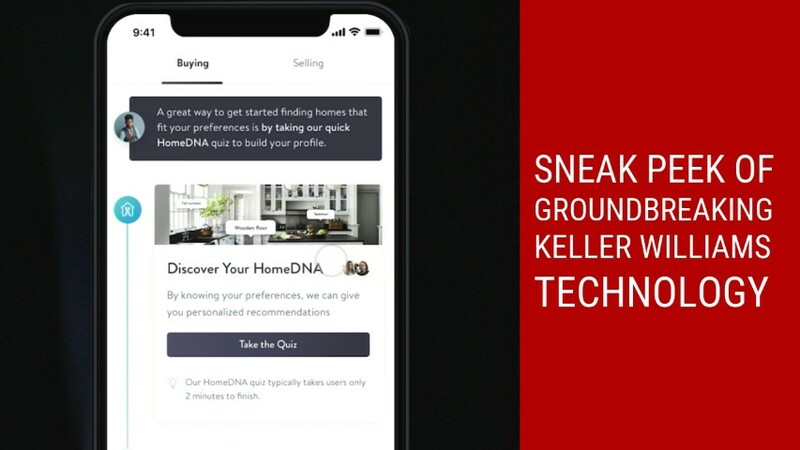 Here are short videos with a Sneak peek of groundbreaking Keller Williams technology – KW App. #3 KW Home value – one year forecast, rental estimates, Airbnb estimates and more! Gain access to powerful tools and data-driven insights about your customers, prospects and business with Keller Williams La Quinta and become unbeatable in your market!